Dr. John Jones is a pathologist who got his medical degree from the University of Alabama school of Medicine. He has been on the practice field for more than 20 years. He is currently living and practicing in Huntsville, Alabama. 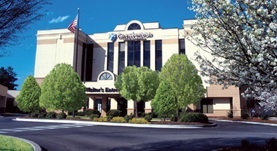 He has only one affiliation with Crestwood Medical Center. After he had taken his diploma, he completed his residency in anatomic and clinical pathology at the University of Alabama Medical Center. He owns a board certification in pathology.